ELOQUII, the trend-driven retailer for women sizes 14-28, announced a spring collaboration with celebrity make-up artist, Priscilla Ono. 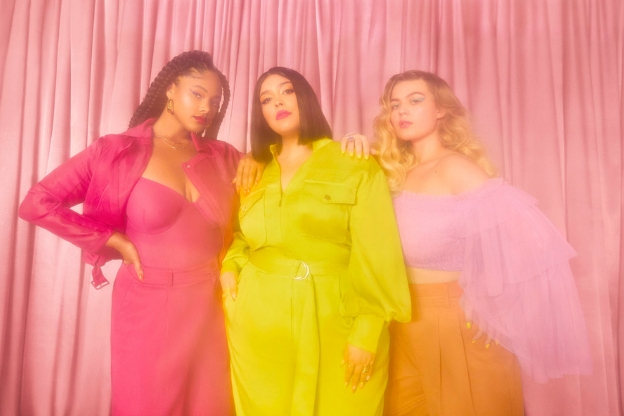 Inspired by of-the-moment makeup hues and silhouettes seen on the spring 2019 runways, the 12-piece Priscilla Ono x ELOQUII collection intersects the worlds of fashion and beauty. The Priscilla Ono x ELOQUII collection of dresses, jumpsuits, co-ord sets and accessories fuses the brand’s innovative design expertise with Ono’s signature aesthetic and her love of vibrant hues. The Priscilla Ono x ELOQUII collection perfectly blends utilitarian and feminine style, featuring neon, sheer fabrics, cargo separates and head-to-toe bold hue. Designed for the fashion and beauty enthusiasts on-the-go, the collection consists of trend-driven, functional pieces detailed with hidden compartments for lipsticks, makeup compacts and more. Standouts from the assortment include the Belted Cargo Dress, Belted Blazer with Pockets and coordinating Cargo Pant Jogger with Belt. The Makeup Holder Belt Bag is one of the most Insta-worthy pieces in the collection – made in a unique, reflective material, the “Glam Pack” is reflective when a photo flash hits creating an aurora borealis effect. Visit https://www.eloquii.com/priscilla-ono to see more of the collection. FBI STYLE © 2019. All Rights Reserved.